Our fishing luck changes day by day. A couple weeks ago we could not catch anything; last weekend was actually pretty good fishing and the past Friday was our worst trip of the season. Today was not bad. People who tried and put an effort into it had one 5 gallon bucket. 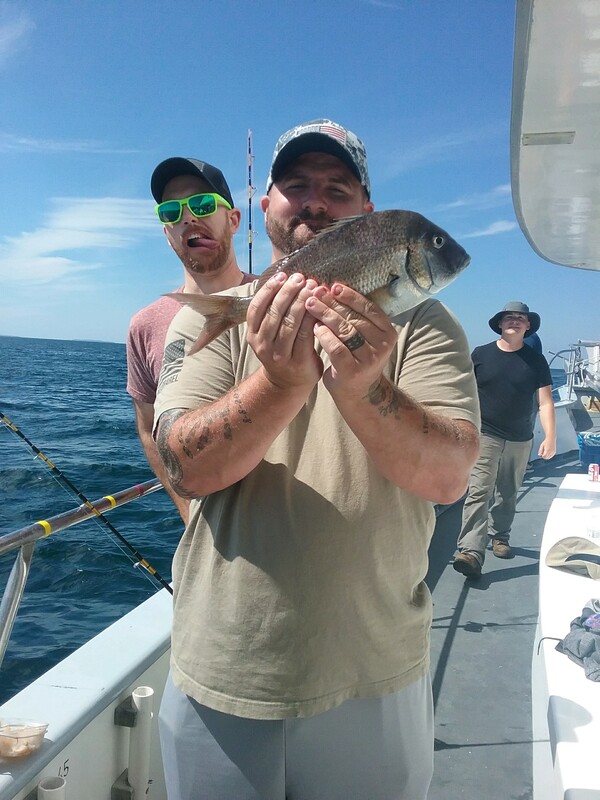 We are still fishing for Sea Bass till September 12th and then we will switch to Porgie and Tautog.